It was my son's First Confession last Friday in preparation for his First Communion in December. 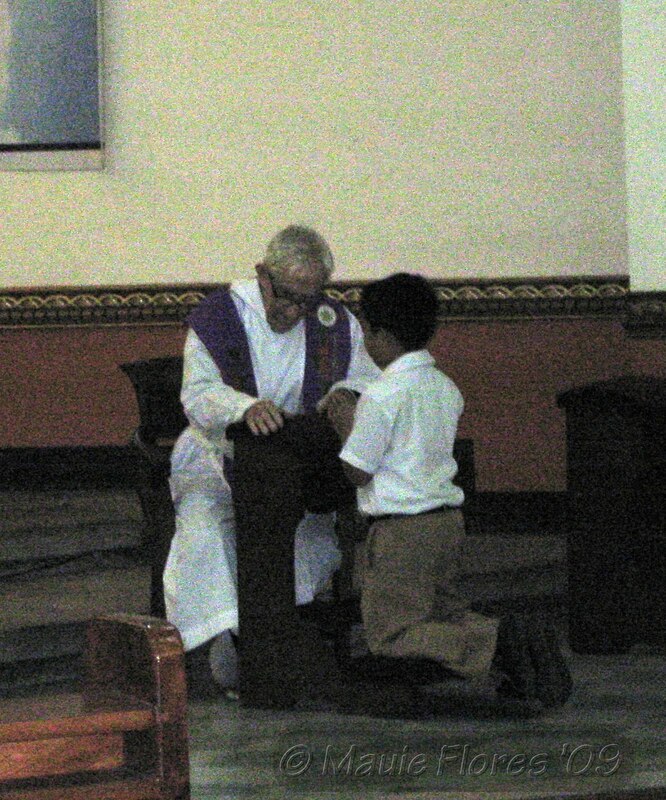 I was surprised that his school required us to attend his First Confession. As it turned out, we were part of the sacrament since we were asked to write "I'm Sorry" letters to our son. We exchanged letters before the ceremony ended. I wrote my letter on the spot. I kept putting it off even when we were already told during the orientation that we will be required to write one. My letter was light and a little bit on the funny side. I guess, I just wasn't able to put everything into words that he can comprehend at his present age. I don't know if he kept our letters or not or if he even acknowledged everything I wrote in it. My son can be so emotionally withdrawn at times. In fact, I find it hard to talk after reprimanding him because he doesn't show any reaction to what I try to explain that it's better to just let it pass. I know in my heart that I am not a perfect mommy and that there are so many things I failed to do for him but I haven't asked for his forgiveness for those things yet. In time, I will. How do you ask for forgiveness from your child? Should you treat him as someone so immature and unaffected? Or is it better to just let it pass and wait for him till he gets older. I will really appreciate your thoughts on this matter.